Though you’ve almost certainly never had it, baijiu (pronounced bye-joe) is not an obscure beverage. It’s actually the biggest-selling spirit in the world, thanks to one very large country: China. What It Is: Though you’ve almost certainly never had it, baijiu (pronounced bye-joe) is not an obscure beverage. It’s actually the biggest-selling spirit in the world, thanks to one very large country: China. Now reps for the potent white liquor are targeting stores across the US, hoping to land it a spot on the shelf next to high-end whiskeys and Cognacs. Baijiu is made via various (sometimes secret) processes, but the most basic involves steaming sorghum and mixing it with water and qu (bricks or balls of damp grains that are left in a warm place for about a month until they grow yeasts, fungi and other microorganisms). The qu is the key to kicking off fermentation, which occurs sometimes in ancient mud pits and sometimes in jars buried underground. Then, the liquid is strained from the mash and distilled using giant steamers. After that, the spirit is aged in large earthenware vessels—which remove impurities rather than add flavors and color like wooden barrels do—for anywhere from one year to 30 or more. After being tempered with a little water, the finished product comes in somewhere between 50 and 60 percent alcohol. What It’s Like: Baijiu is hard to pin down. Its flavor is different from any other spirit, so the usual descriptors like smoky, citrusy, fruity, etc., don’t really apply. And Moutai is one of the most distinct baijius—it’s classified as a “sauce” fragrance, the boldest of the classifications, which also include thick fragrance, light fragrance and honey fragrance. This is going to sound unappetizing, but there is definitely something rotten about it—and that’s good. There’s a funk—like sweet, rotting fruit or really good Parmesan. You might taste a touch of nutty sherry on the periphery or homemade blackberry eau-de-vie, but that’s just your American brain grasping at memory straws in an effort to articulate what you’re tasting. There is one thing I can say for sure: It is distinctly savory. Not salty, but savory and funky and fermented. As for the high alcohol level, there’s no burn on the palate but you’ll feel a subtle warmth in your chest. How to Drink It: In China, baijiu—and more specifically Moutai baijiu—is traditionally drunk at special occasions or dinners in teeny-tiny glasses that look like dollhouse goblets, which means a lot of refills are standard. Before downing the small glasses, toasting is required, and each drinker aims to clink his or her glass in the lowest position in order to indicate the greatest humility. It’s a fun ritual, but not quite in line with American habits. 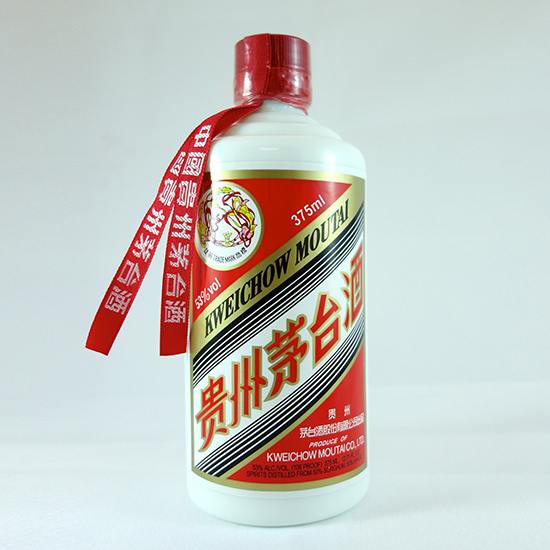 Feel free to drink baijiu as you would high-quality Scotch—straight, at room temperature. As for pairing with food, Moutai works with umami-packed dishes like sautéed mushrooms and soy-marinated steaks. Related: Who Wants to Get Punsched?